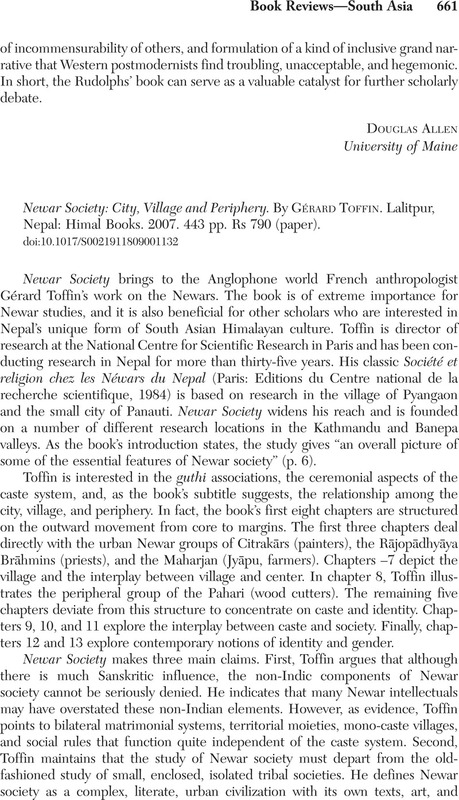 Newar Society: City, Village and Periphery. By Gérard Toffin. Lalitpur, Nepal: Himal Books. 2007. 443 pp. Rs 790 (paper).